This is one of the first interactive videos on Youtube, so what’s next? Here’s an interactive video on Youtube that allows the viewer to play the piano and control the guitar player. My first thought was, “How did they do this?” My second thought was, “What song shall I play?” But my third thought was, “How can this cool video technology be used in our business, or any business for that matter?” This may seem a bit far-fetched but if someone can assign the keys on your computer keyboard to do specific functions in their video, imagine the possibilities of how this might work for Real Estate in the future? Here’s another cool video that let’s you interact and play. So there’s 26 Letters and 10 numbers creating 36 potential keyboard video marketing opportunities? What if the keystroke “V” offered a virtual video tour of the home, maybe “A” could give an aerial view of the neighborhood, or “S” search all the homes available in the neighborhood? I can see how allowing folks to interact with your videos could become a huge marketing/advertising opportunity and still be fun at the same time. In the meantime, if you’re one of the skeptics out there who thinks this will never happen, hold everything. Creating an interactive Youtube channel that allows viewers to do more than just watch your videos is already here, you better fasten your seat-belt. 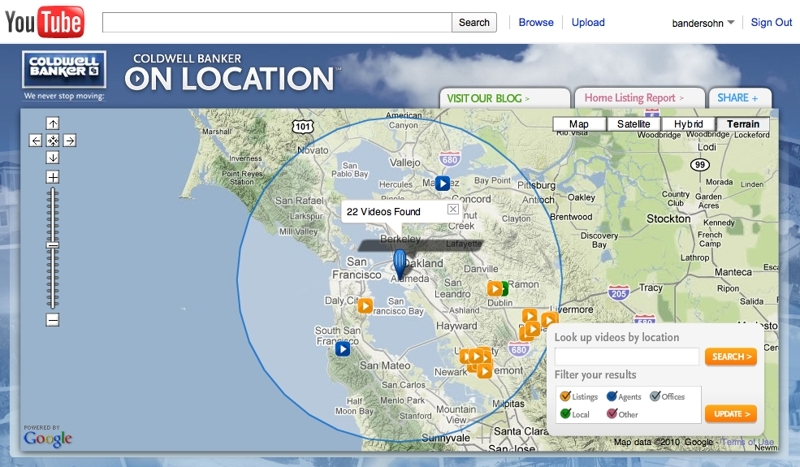 Take a look what one Bay Area Real Estate office is already doing with their Youtube Channel. Make sure you check out the tabs and the interactive options available. I’ll be back next year to continue my journey sharing my explorations and findings with you here in the rain. « WEEKend FUNfact – He Was The First One To….